Saranda is probably my most favorite place on earth. I am a frequent visitor of this magnificent destination and on my seventh time in this wonderful piece of heaven in the planet, I made it a point to visit 4 Stinet Restaurant. I have been reading restaurant reviews and this one has been garnering a lot of positive feedback. 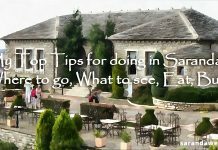 For some reasons, I have never checked it out in the past, maybe because there’s this whole flock of dining places in Saranda that one day is not enough to visit all of them. So, right after arriving, I headed out to the 4 Stinet. If there is one thing that I love about Stinet it is the fact that it has some tables set outside that will give you the perfect view of the sea. As it was a fine sunny afternoon, I decided to choose one of the empty tables outside. I browsed their menu and I felt the craving right there and then when I saw their long list of pizza choices. I am a big fan of pizza and decided that it is just the best partner for this wonderful afternoon out with the view of the sparkling blue waters right before my eyes. I also ordered white wine to ease my thirst. From the moment that the server placed the pizza on my table, my spirits went several notches higher as it really smelled so good. The smell alone revealed the richness of the herbs and spices used and the fresh ingredients that were used, from the dough to the toppings. I instantly went for a slice, took a bite and yes, my sense of smell never betrayed me this time because I tasted everything that I smelled a while ago. It was so rich tasting, with everything just mixed and combined perfectly that resulted to a divine pizza experience for me. It was definitely nothing like the pizzas that I had in the past and mind you, I definitely had tasted a lot in the past. And if this is not enough, their white wine also goes well with the pizza that I didn’t even notice that I have already finished off the pizza. 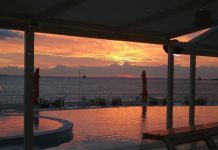 I would say that this restaurant is yet again one of the best, with the perfect combination of the wonderful service, breathtaking view of the waters, delightful food and the most affordable value that I have ever seen. I was also informed that later in the night, music also fills up the restaurant with their live performers serenading the customers. Will I Recommend 4 Stinet Restaurant to Others? Calling it the perfect restaurant may not be enough because it definitely was more than what I expected. The whole place was clean, the food was the tastiest that I have ever tried in the past and the prices are just right for all types of budget. 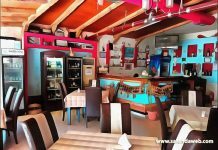 Whether you are looking for a good meal or you want an ideal place where you can relax or you simply like to have both, then, this place will never disappoint.